Victor Frankenstein: And I'm frightened that if I tell you the truth, I'll lose you. Elizabeth: You'll lose me if you don't. Victor Frankenstein is the son of a famous doctor who watches his mother die in labour with his younger brother. As an idealistic young man he travels to university to study to become a great doctor. However he brings with him non-scientific teachings he has researched into life and the influence of electric currents. 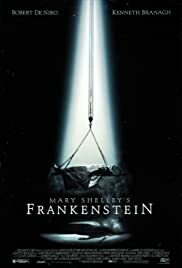 His belief is supported by shadowy lecturer Dr Waldeman and Frankenstein continues his work and brings a man back to life using parts of other men. 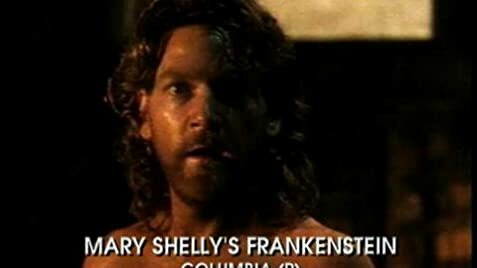 Realising what he has done, Frankenstein leaves his monster to die but the creature learns fast and wants revenge for his creation. I have seen far too many monster movies that all blur together and share the same focus on effects and gore than story or character. So when this was promoted as being close to the original material, dark and more of a story than a horror I was looking forward to watching it. For the most part it sort of works but it's main flaw runs all the way through it like a stick of rock  it's far too worthy. Or at least it thinks it is. The film has a constant swell of dramatic music that is only ever seconds away and it really makes the film feel grander and more serious than it really is. The film isn't scary but that wasn't a problem to me  it just has all these big worthy dialogue scenes with sudden pauses (up comes the music) and then lines. It doesn't work and the film feels heavy and even dull as a result. This is never more evident than in Branagh's own performance. He is far too dashing and too much of a young man gone wrong to be believed. If he'd played it a little less worthy he would have been more of a human and less a cardboard type. De Niro really tries hard and did well for me. He may be stuck with a creature but it has been developed past the cliché (but not far enough perhaps). I did feel for him and it was all De Niro's doing. Carter is miscast both before and after  far to light and modern for the role, Briers is OK but Cleese is way to miscast. First of all the fact that he only appears half in shadows and when he opens his mouth the music comes up doesn't help, but it didn't feel like him. Quinn is a good cameo but the majority of the cast seem to have bought into the whole `worthy' thing and are dulled as a result. Overall the film is worth watching because it is a good telling of the classic tale and De Niro does a good job of showing us the basic human behind the combined dead body parts. If only Branagh hadn't been overwhelmed by the sheer importance of what he thought he was doing and had let the film flow and bit more and given in less to worthy music, acting and directing. 27 of 46 people found this review helpful. Was this review helpful to you?